RapidKL is a company that own by another goverment-own company, Prasarana Berhad which formed back in the 2004 in objectives to provide solution for the public transport services of Kuala Lumpur and the surrounding cities. RapidKL services are including the RapidKL buses services and rail services which include the Kelana Jaya line, Ampang-Sri Petaling-Sentul line LRT and Kuala Lumpur Monorail. RapidKL owns approximately 1500 buses which basically contain fleets such as Dong Feng, Volvo, Mercedes Benz, Kin Long, An Yuan, Iveco, and some small fleets of Nissan, Higer and etc. 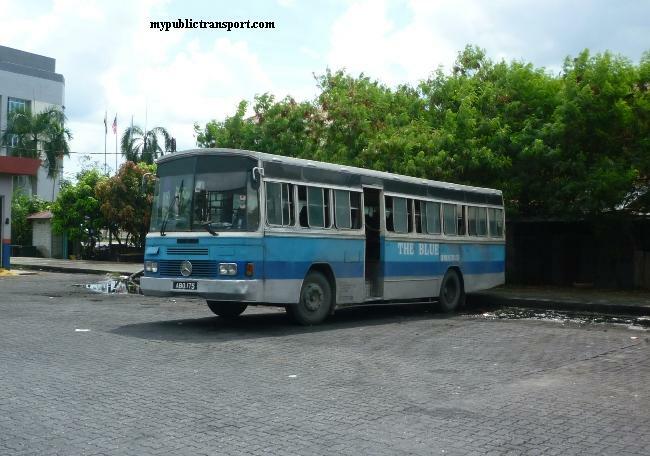 In year 2011, Scania K270 which is the same model used by the RapidPenang will be added to RapidKL buses collection.Old fleets from Park May Sdn Berhad and Interkota Composite were either refurbished or eliminated. These allow RapidKL to provide large area of coverages to the area further from Kuala Lumpur. However, RapidKL today still suffer from insufficient number of buses and cause the bus services come with low frequency. Some of buses are poor maintained and are weared out. The RapidKL buses services can be divided into Trunk line (Tagged with Utama and blue background) , Local Line (Tagged with Tempatan and green background) and City Line (Tagged with Bandar and red background). Trunk lines are used to link between Kuala Lumpur and its surrounding cities while local line are serve as feeder from the main trunk line to the small residential areas or from the LRT Station. Meanwhile the city line routes cover the services between different bus interchanges in Kuala Lumpur. 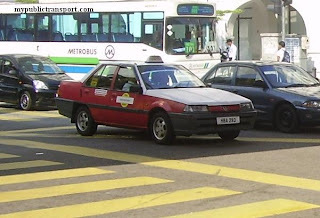 In year 2010, RapidBet routes were introduced by RapidKL which provides Buses services through the expressway with less stop to save time. Routes for six diffrent areas are listed in this directory for references. The fares and timetable of the RapidKL buses can be found at the post of " RapidKL bus fares and timetable".Different bus interchanges at Kuala Lumpur can be obtained at "RapidKL bus Interchanges". Besides bus services, RapidKL is also the operator for the two LRT lines i.e. Kelana Jaya-Gombak line (previously known as Putra line) and Ampang-Sri Petaling-Sentul line ((previously known as Star line). Mark-II Bombadier coaches are used for the Kelana Jaya line while Adtranz coaches serve the another line. Both of these lines cover 25 stations each. The only interchange between these two lines is at Masjid Jamek station. For the detail and feeder bus services of the LRT, please refer to "RapidKL LRT". Search routes using landmarks in Kuala Lumpur. hem...... dari pj nk ke pudu raya nak nek bas rapid no berape ye??? It depends on Which Part of Petaling Jaya you are from. 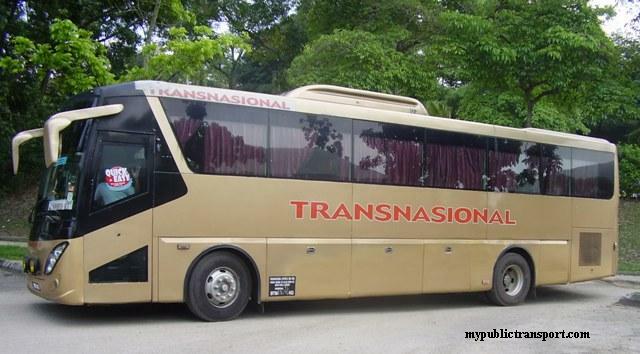 how do i go to kelana jaya (taman mayang jaya)by bus from shah alam? From Shah Alam, you can use RapidKL U80 to Asia Jaya, then walk to the LRT station and use LRT to Kelana Jaya. From Kelana Jaya station, use RapidKL T622 to Taman Mayang Jaya. Hi, Bagaimana untuk ke SS13/1, Subang Jaya dari KL? how do i go to FAM kelana jaya by bus from shah alam ??? which bus ?? can you help me ? hi. how can i go to ss15 from ktm subang jaya? hi there...camne nk pg jalan ss 13/3 subang jaya dari klang ye??? naik rapid kl u62 tu depan sunway ke?? dari lrt gombak nak pergi greenwood naik bas ape ye? You can use T231 from UIA to Gombak LRT station, then use T203 to nearby Greenwood. ye ke...1 lg pertanyaan...kalo dr ktm subang tu ada tak bas??? n bas number berapa utk ke sunway piramid ye?? sgt confius...dr sunway piramid ke jalan SS 13/3D tu ada bas tak?? No need to confuse, when you come from Klang, U62 will pass by the main road which go in SS13/3D, so you get down at the main road and walk into SS13/3D. If you want to use KTM from Klang, you can stop at Subang Jaya and use U67, U76 or Metrobus 13 and stop at the main road as well. You need to use RapidKL U67,U76 or Metrobus 13 to Sunway Pyramid, then go opposite for RapidKL U63 or Metrobus 10 to 3k Sports Complex. Skynet is behind the complex. The bus usually come every 10-15 minutes despite traffic jam. how to go to pasar seni from chong hwa persendirian high school,jalan ipoh or kompleks mutiara,jalan ipoh? From Jalan Ipoh, you can use any bus heading towards Kuala Lumpur. All of them will stop near to Lebuh Ampang which is between Masjid Jamek and Pasar Seni. Therefore when you reach city centre, you can just walk to Pasar Seni. Using LRT from Masjid Jamek to Pasar Seni is other choice but 1 station may waste you more time. which bus number do I take from Tasik Danau Kota -> Carrefour Wangsa Maju? how long is the journey on estimate? You can use RapidKL U25 to Carrefour Wangsa Maju. You need to walk to Jalan genting Klang, the stop near to Jalan Usahawan because the bus will turn from genting Klang to Jalan Usahawan. 1) taman koperasi polis fasa 2 from kl sentral? 2) seri kembangan from nearest lrt/ktm? 2. You can use rapidKL U432 from Serdang KTM station. It's the T312_1_4 stop right? Danau Kota Lake. okay thanks! You need to walk to T312_1_3, and use U25, then you can reach your destination directly. Macam mane dari subang jaya nak pergi setia alam ? No bus go to Setia Alam yet. You can only use U91 from Shah Alam bus terminal to Jalan Meru and walk into Setia Alam. You can use RapidKL U62 from Subang Jaya to Shah Alam bus terminal. hello, may i know how to get to Kuala Selangor from Sunway Pyramid..
You need to use RapidKL U63, U67 or Metrobus 10, 13 to Kota Raya, then look for Selangor bus 141 near Masjid Jamek to Kuala Selangor. Hi !, could you kindly guide me on how to get from Carrefour Kepong to Viva Mall Cheras. Thank you in advance. The easiest way for you is to use taxi. The other choice is use KLIA Transit to Tasik Selatan, then use LRT to Sungai Besi for U42 to Serdang Hospital. i'm from mentari court.. n i want to go to usj21..
No bus go to Usj 21 though. What you can do is walk to Sunway Pyramid and use RapidKL U67 or Metrobus 13 to Persiaran Tujuan and use taxi from there to Usj 21. I'm from station University and I want to go to UIA Petaling Jaya. Which bus should I take if I want to go to there? 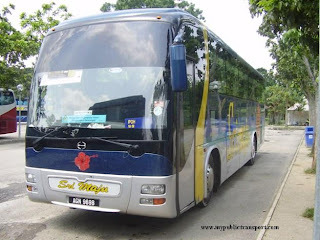 Is there any bus from ktm kepong station to kepong village mall, bdr menjalara?which bus is it? Tq! 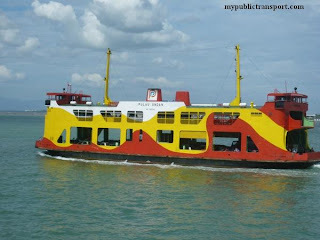 how do i go to sabak bernam by bus from pudu sentral ??? which bus ?? can you help me ? You can use Sabak Bernam Express from Pudu Sentral. The counter is located inside the terminal. Hi,I would like to know from Taman Bahagia LRT, how to go to D'alamanda Condo, pudu impian. 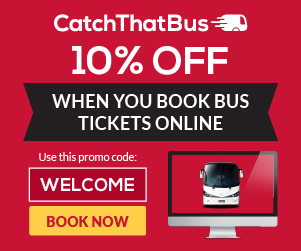 What is the cheapest way to go? It can be bus or train. If bus, which bus from where? Thanks very much for your reply. You can use Lrt to Maputo station (transit at masjid jamek. pudu impian is just opposite. You can use LRT to Kelana Jaya station, then use RapidKL U623 to SS15. how to go rawang from gombak ? 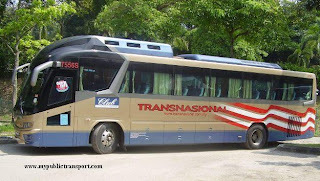 is there any bus that can reach volvo malaysia located at jalan bicu seksyen 15 from hentian bandar shah alam? You can use RapidKL T529 from Hentian Shah Alam to Persiaran Sultan, then walk to Volvo Malaysia. 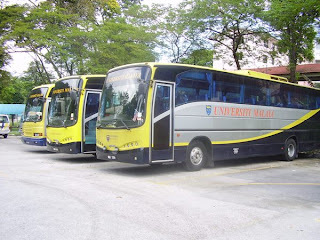 saya nak g ukm bangi...from kl sentral..komuter/bus??? Saya nak bertanya tentang arah RapidKL dari jalan ipoh ke Universiti Malaya..
You can use any bus heading to Kuala Lumpur and stop at Masjid Jamek LRT station, then use LRT to Universiti station. Last, use RapidkL T632 to go in to the campus. You can use RapidKL U81 from Subang Airport to Asia Jaya, then go opposite of Federal Highway for RapidKL U67 or Metrobus 13 to Subang Parade, then walk to Subang KTM. You can use RapidKL U605 to Shah alam bus terminal, then use RapidKL U80 to Asia Jaya (federal Highway). Last, walk to Asia Jaya LRT station and use RapidKL T628 to Jalan Semangat or Jalan Universiti and walk to Jalan 13/4. how to go to sunway pyramid from lrt gombak? You can use LRT Gombak to Kelana Jaya station, then use RapidKL U623 to Sunway Pyramid. how can i go from ktm bangi to rhb bangi complex using bus? You need to use KTM to UKM station, then walk to Jalan Reko for RapidKL T431 to Bangi Complex. Hello, how can I get from Connaught Avenue (in front of Econsave) to KLCC? You can use RapidKL U410 or U411 to Bukit Bintang, then use the cover walkway to KLCC. 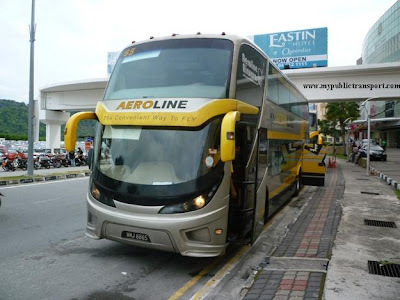 is there any bus stations near kepong village mall/tesco kepong? No bus go into Kepong Village Mall. You can use RapidKL U11 to the nearby place and walk to the mall. You can use T601 to Hentian Shah Alam, then use RapidKL U90 to Tesco Setia Alam. Hi this is a useful and informative site! Do you know the arrival times of the u86 at Damansara Perdana and does it still only arrive hourly? Also is the u43 from the Central Park Avenue more regular? No. Both of these still very hard to get. Almost 1 hour once. Oh dear. Would you know of an alternative as to how I can travel from Damansara Perdana to a nearby LRT station then? I need to get myself to the Dang Wangi LRT or Medan Tuanku MRT. Thanks. Which part from Damansara Perdana you stay? If you dont mind walking, you can walk from Damansara Perdana to Persiaran Surian, then use U88, U89 or Metrobus 99 to Asia Jaya LRT station or Kelana Jaya LRT station. Persiaran Surian as in at Ikano? I'm at Metropolitan Square hence I wanted to take the bus. Not sure walking in the wee hours would be feasible. Hmm, thanks for the suggestions anyway. You can use LRT to Universiti station (transit at Masjid Jamek), then use RapidKL T632 into UM. from sunway pyramid to nearest KTM / LRT naik apa yer? You can use RapidKL U63/U67 to Asia Jaya (federal Highway), then walk to Asia Jaya LRT station. You can also use RapidKL U67/U76/U623 to Subang Jaya KTM station. You can also use RapidKL U623 to Kelana Jaya LRT station. how to get to the nearest Tesco or maybe Giant from UIA Gombak ? 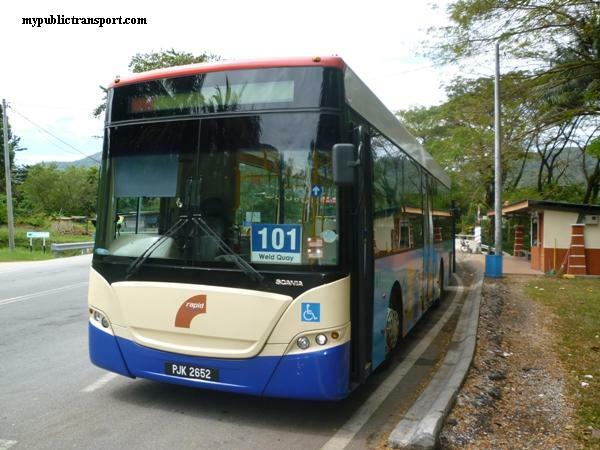 You may use RapidKL T231 to Gombak LRT station, then you can use LRT to town for Tesco or Giant. 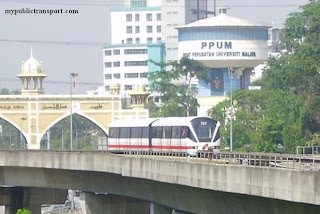 How to get to kompleks mutiara jalan ipoh from putrajaya sentral? Any fast and short route? You can use Sri Indah Express from Putrajaya Sentral to city centre, then use RapidKL U3 to Mutiara COmplex. how to go to subang airport from ara damansara? 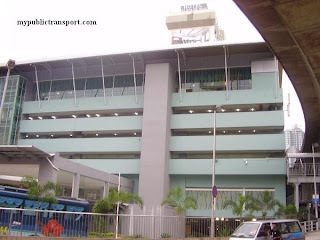 how to go to subang airport from taman subang baru? Use RapidKL U607 to Jalan Lapangan Terbang, then change U81 to Subang Airport. You can use RapidKL U81 directly to Subang Airport. Hi, how can I go carrefour wangsa maju from Gengting klang? And is it the same way if I want go back Genting Klang from carrefour? Thank you! You can use RapidKL U25. Please refer to the bus stop location on our site. how can i go to RHB Bangi from Taman Melati? Appreciate it if u could help. Thank you! From Taman Melati you can use LRT to KL Sentral, then change KTM to Kajang station. Then walk to Kajang town for RapidKL T431 to Persiaran Universiti. Stop at the roundabout and walk roughly 200metres to RHB Bangi. The other way is use LRT to Pasar Seni, then use Sri Indah Express bus to Kajang and use T431. Hi, can you guild me how can I go to sunway pyramid from SS15 "EON Bank, Persiaran Jengka", which is one of the bus stop for bus U67, THANK YOU. You need to walk to Subang Parade and use RapidKL U67,76 or Metrobus 13 to Sunway Pyramid. You need to use RapidKL T607 to UITM, then change to RapidKL U80 to KL Sentral. Hi, what bus should I take from Pekeliling Bus Station to Subang Parade? You can use Monorail to KL Sentral, then use RapidKL U67 or U76 to Subang Parade.You can also use LRT to Kelana Jaya, then use U623 to Subang Parade. Hi, How to get to Jln Astaka, Seksyen U8 from Shah Alam Komuter station? You need to use RapidKL T529 from Shah Alam KTM Station to Shah Alam bus hub, then use RapidKL U605 to Seksyen U8, Persiaran Astaka. hai, macammana saya nak pergi ke courts megastore setapak dari lrt wangsa maju eh??? You can choose to walk or use RapidkL U20, U24. hye , can i know , how to go to taman kajang prima from maluri KL ? You can use RapidKL U40 from Jalan Pudu to Kajang town, then use RapidKL U415 to Taman Kajang Prima. You can use RapidKL T231 to Gombak LRT station, then use LRT to KLCC. 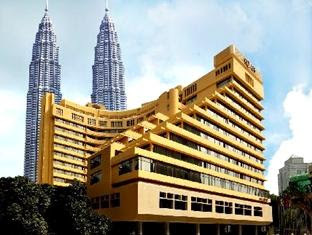 Then, from KLCC use GOKL free bus to Bukit Bintang or walk directly from KLCC to Bukit bintang using the cover walkway. You can use LRT to KL Sentral, then change KTM to UKM station. Outside of the station use RapidKL T431 to RHB Bangi. You can use RapidKL T523 from Subang Parade to Summit USJ. You can get the bus just outside of Subang Parade. The walking distances are 3km so I don't recommend. 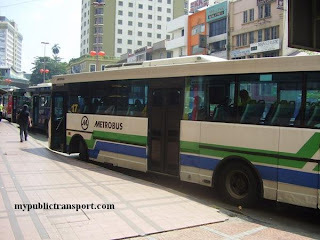 is there any rapidkl bus from jln pekeliling to taman melati kl? How to get to Tropicana Indah from LRT Kelana Jaya Station. Near landmark is Kelab Golf Seri Selangor. You need to use RapidKL U89 to Persiaran Surian or LDP, then change RapidKL U88 to Tropicana Indah. How can i get from Puchong Utama or IOI Mall to Sunway Pyramid? Hi,How can i reach mutiara complex from university lrt station? You can use LRT to Masjid Jamek, then use RapidKL U3 or U11 to Mutiara Complex. You can use RapidKL U60, U69 or U70 to Klang Lama, then use RapidKL U76 to Sunway Pyramid. Hi, can I ask how to go Rawang from ss15? My friends asked me to take Metro13 go Subang Jaya Ktm then only go Rawang Ktm, any other easier way can go? This is the easiest way but you need to transit to another line of KTM at KL Sentral. The train from Subang Jaya does not go directly to Rawang. Other choice is use Metrobus 13 or RapidKL U67 to Pasar Seni, then use Metrobus 43 to Rawang. Hi, can i ask how to go Nomad Sucasa Hotel/Ampang Walk from Pudu Sentral? You can walk from Puduraya to Lebuh Ampang and use RapidKL U22,U26, U28,U29 to Nomad Sucasa Hotel. You can use RapidKL U3, U4, U8, U11 and others to Masjid Jamek, then use LRT to Bangsar LRT station, then use RapidKL T634 to places at Bangsar. NO 8, JALAN BATU TIGA LAMA, 41300 KLANG, SELANGOR DARUL EHSAN MALAYSIA. You can use KTM from KL Sentral to Klang, then use taxi to Jalan Batu Tiga Lama.Taxi should cost you less than Rm15 if using meter. From UIA Gombak you can use LRT from Gombak to Wangsa Maju, then use RapidKL T301 or T305 to Giant Taman Permata. You can walk to Sunway Pyramid, then use RapidKL U63 to SS13/5. hai.. nak tnye klau dr perhentian bandar shah alam ke seksyen 16 dan seksyen 17 naik bas no apa? You need to use RapidKL U80 from Section 2 to Asia Jaya, then change to U81 to Persiaran Lapangan Terbang. Then walk to Persiaran Golf, Canon Marketing. 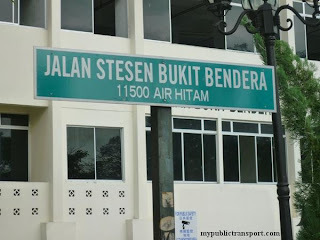 any bus using persiaran setia alam or persiaran setia prima? You can use RapidKL U90 to Jalan Meru and walk into Persiaran Setia Alam. The bus don't really stop at Mont Kiara, you may use RapidKL U618 from Titiwangsa and stop near Sri Hartamas. 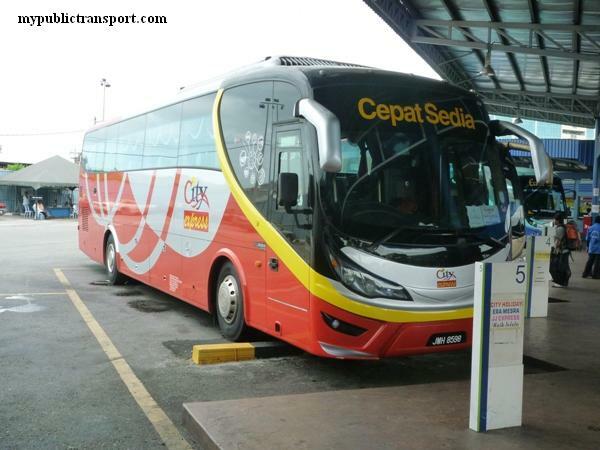 is there any bus I can take from Klang to KL sentral? ada perkhidmatan ke Sri Gombak x? You can use RapidKL U1, U10 or T203 to Sri Gombak. Hai saya nak tanya kalau dari kompleks pkns s.alam ke sunway pyramid naik bas no berapa ye? Then 1 lagi..kalau dari sunway pyramid ke seksyen 2 shah alam naikk bas no berapa juga ye? From PKNS Shah Alam you can use RapidKL U62 to Sunway Pyramid. You can also use RapidKL U62 from Sunway Pyramid to Section 2 Shah Alam. Help me please. How can i go to putra infoport, institute halal research from uia gombak. How long will it take. You can use LRT from GOmbak to Pasar Seni, then walk to Kota Raya for Metrobus 17 to UPM, Putra Infoport. saya nak tanya kalau dr ktm bangi nak ke jalan 7/7A seksyen 7(bangi) mcm mne ek? nak pergi kelab golf seri selangor naik ape? You can use RapidkL U81 or Metrobus 9. You can use LRT from Gombak station to Universiti Station. Then use RapidKL T631 to Mid Valley. hi how do go to tesco setia alam from setia jaya (mentari court)? You need to use U63 or U67 from Mentari Court to Federal Highway, then go opposite and use U80 to Hentian Shah Alam. Last, use RapidKL U90 to Tesco Setia ALam. Hi!How do to go hong Hwa KL Independent High School from wangsa maju lrt?by bus? Do you mean chong Hwa KL Independent High School? You can use LRT from Wangsa Maju to Masjid Jamek, then use RapidKL U4,U8,U11 or U13 to SMK Jalan Ipoh, then walk to your destination. You can use RapidKL T408 from Giant to Tasik Selatan， then use KTM to Mid Valley. thanks how bout the other way aroun? can I still use T408 to reach taman connaught from bandar tasik selatan? How to go from Kelana Jaya LRT station to Sunway pyramid. People tell me it's the T623 but it's not listed on the rapidKL website. Also which bustop should I wait to get back to Kelana Jaya from Sunway pyramid? Hi, T623 was something 4 years ago. You can use RapidKL U623 from KJ LRT Station to Sunway Pyramid. For the return journey, go back to the same bus stop you get down and use U623 back to KJ LRT Station. boleh bgthu sya kalau dri bangi ke Persiaran Universiti, Seksyen 15,Bandar Baru Bangi ada bas x? ?..cara yg terjimat untk sy smpai..
You can use LRT, KTM, monorail or bus to KL Sentral, then walk to your destination, it is near to the Monorail station. Can I know how to go to Taman Tun Dr Ismail from sunway pyramid? You can use RapidKL U63 or U67 to KL Sentral, then change RapidKL U82 to TTDI. From Universiti Station, the bus stop facing Federal Highway, use RapidKL U80 to UITM Shah Alam, then switch to RapidKL T604 to Section 7. Well thank you. So this means that I just gotta wait for the RapidKL U80 to UiTM Shah Alam at the Universiti Station right? Yes and remember to switch to T604 to Section 7. Thanks for guiding me to TTDI. Can I know what is the next available method to go to the following place from Sunway Pyramid? Thank you. The other method is use RapidKL U623 from Sunway Pyramid to Kelana Jaya LRT Station, then use RapidKL U89 to 1Utama. Last use RapidKL U82 to TTDI. You will get down at Jalan Datuk Sulaiman and need to walk to WIM. From Taman Universiti you can use RapidKL U84 to KL Sentral, then use Monorail to Medan Tuanku and walk to Sogo. You can use RapidKL T601 to Shah Alam bus station, then use RapidKL U62 to Sunway Pyramid. Is the first method (You can use RapidKL U63 or U67 to KL Sentral, then change RapidKL U82 to TTDI.) is faster and more convenient? I need to get down at Jalan Datuk Sulaiman and need to walk to WIM (same as the second method suggested) right? Can I know what is the building or facilities that I can recognise at Jalan Datuk Sulaiman? The first method is more convenient but the second method should be faster.You can see Plaza Vads which is the highest building in TTDI, then you can get down from bus and walk to WIM. 50450 Kuala Lumpur from Sunway Pyramid? You can use LRT to KLCC and walk to Wisma Selangor Dredging.